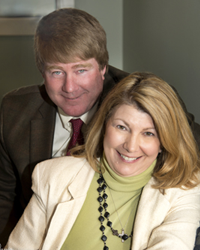 Stillwater brings together Kathy’s expertise in building homes with a population she holds dear. “This is a culmination of all my professional talents and experiences and my love of family.” Her treasured memory of a grandmother’s reassurance to look down on her from Heaven, fuels the creation of a loving “place” for grandmothers and grandfathers. Kathy has been assisting people in finding “homes” for 30+ years. 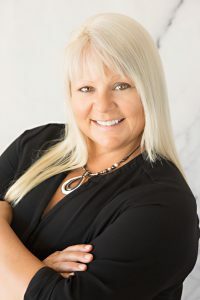 Currently a commercial & residential real estate developer, Kathy has been a real estate agent, broker/manager, owner/broker, franchise owner, general contractor and developer. Project sizes range from one custom-built home to subdivisions of 250. 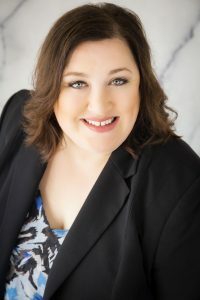 Evolving from young real estate agent to small business owner, she quickly learned the vital role of hiring employees and facilitating their professional development. Stillwater’s synergy comes from a handpicked staff melded with a property complemented by nature and supplemented by desirable amenities brings a vibrant community offering active lifestyle options. It’s a place where Kathy hopes parents like hers and …yours ...will enjoy life! Guided by faith in God and supported by a strong family bond, Kathy’s motto is one that persistence carries one further than talent and knowledge alone. Kathy was born and raised in Highland, IL. Kathy and her husband Bruce, reside in Edwardsville with son, Seth. 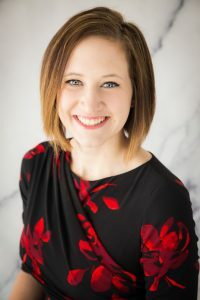 Emily comes to Stillwater Senior Living with almost ten years of senior living experience and fifteen years of leadership experience. A unique path lead Emily from her first career as a professional Chef to working with seniors. Food is something she is still passionate about and she understands that meals are an integral part of our resident’s daily experience. She enjoys building relationships with our residents and their family members and strives to ensure that our employees are well-cared for as well. Emily is a recent graduate of Lindenwood University with a Bachelor’s degree in Healthcare Management. Gay Lynn brings decades of customer service experience to the Stillwater Senior Living team. A local native of Bunker Hill, Gay Lynn joined the Stillwater team in its infancy in 2015. If you ask any resident who they can count on or who is their favorite person, nine times out of ten, Gay Lynn is their answer. She’s there to from move in day on to ensure that Stillwater’s resident’s needs are met in a timely manner. Shameem is Stillwater’s greatest fan, and she will encourage the same sentiment when touring our potential residents and family members. 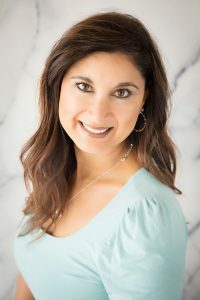 Sales Expertise is just one of her many talents, but what Shameem really thrives on is assisting our residents and families in navigating their needs through the aging process and long-term-care. A resident of Collinsville, Shameem has been involved in our local theatre companies as an officer and board member of Curtain’s Up Theater Company and Miner’s Institute Foundation. Shameem is a recent graduate of Lindenwood University with a Bachelor’s degree in Healthcare Management. Sophie joins team Stillwater with years of team captain experience. As an All-American Scholar Athlete, Sophie has plenty of motivation to share with our residents in encouraging them to participate in our daily planned activities. Serving seniors is her passion and her smile is infectious, just ask any of our residents and they’ll say that Sophie just brightens their day. Sophie is a recent graduate of McKendree University with a Bachelor’s degree in Health and Wellness. 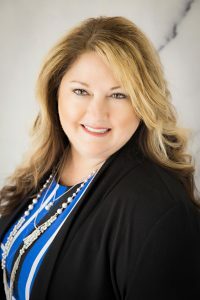 Team Stillwater is happy to have Jeanie as part of our team to assist in ensuring our residents are happy, healthy and enjoying their time at Stillwater to the fullest. Jeanie comes to us with years of serving seniors in a long-term care setting. She enjoys advocating for our resident’s care needs, whether that be with communicating with their doctors or ensuring that they are receiving therapy to keep them agile and thriving.